(Canberra, Feb 12, 2019): Australia formally signed a $50 billion contract with France to build 12 state of the art submarines Monday, a signal of the country''s willingness to project power across the Pacific. Prime Minister Scott Morrison hailed the "very audacious plan" at a ceremony in Canberra as "part of Australia''s biggest ever peace-time investment in defence". The contract for 12 attack-class submarines is with France''s Naval Group, a consortium with state backing, and has been years in the making. It is Australia''s largest ever defence procurement project and the largest ever foreign sales deal by French shipbuilder Naval Group. 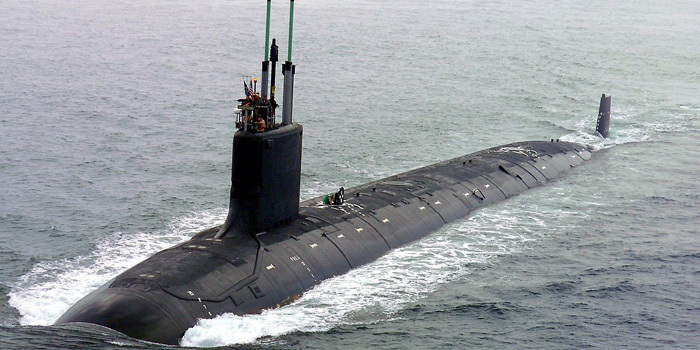 The first submarine is expected to be finished in the early 2030s. Critics say that is too late: the waters to Australia''s north and east are the scene of an intense struggle between the United States, China and regional powers, who are all vying for influence. Beijing has made territorial claims to much of the South China Sea -- a marine thoroughfare that is vital to maintain the supply of ores, minerals and crude that fuel the Chinese economy. Washington fears that China is becoming increasingly assertive over its territorial claims to display its dominance over smaller Asian nations and cement its role as the prime regional power. Australian military analysts hope the subs will allow the country to maintain a credible deterrent against possible hostile actions. Visiting French Armed Forces Minister Florence Parly signed the agreement for Paris. The ceremony took place in the shadow of a memorial to US forces in front of the Australian defence offices in Canberra. "It takes a lot of confidence for Australia to bet on France and a lot of confidence for France to share with Australia the capability that is so close to the core of our sovereignty and our strategic autonomy and a result of immense investment over decades," Parly said. Under the Strategic Partnership Agreement, 12 conventionally powered submarines derived from the Naval Group Barracuda nuclear design will be constructed in a new shipyard in South Australia.